The way Richard speaks is in a conversational style. I would listen during a morning walk and feel better about life and my direction. 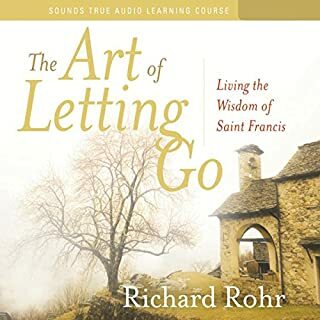 Letting Go of many things holding me down and his instruction is very much worth the listen and contemplation, whether one fully agrees with duality and specific teachings. It will help further your own beliefs and commitments to God and self. 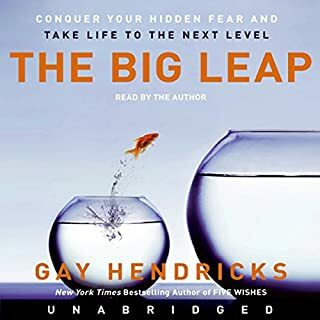 I have now listened to this book 3 times. The instructions on what to do are so spot on I am re-doing everything in my business and it’s about time. Grateful for a blueprint. In fact I also just bought the actual paperback book so I can go through it in detail. Just an amazing experience and grateful for this book. 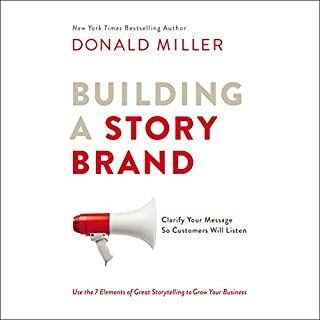 Recommend to anyone looking to improve in business. 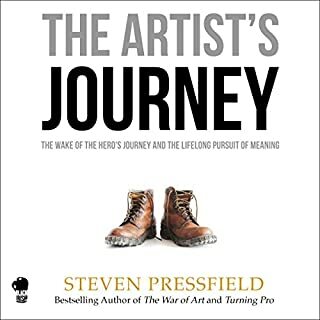 It’s tough to describe what listening to Pressfield read his own words can do to an artist’s mind, stirring the soul, and invoking a sense of courage to create immediately. Having enjoyed all of his works this is another wonderful reminder and kick in the pants to get some art created. Awesome listen. LOVE this story. LOVE the passion it brings for getting outside, running, and the way it all comes together in the end is historic. 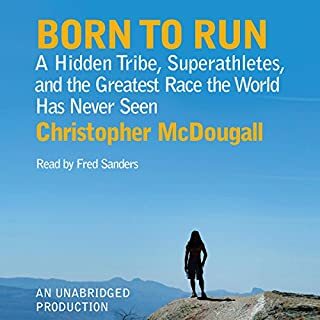 I read this book years ago and it changed my life, the way I worked out, climbed mountains, and now to hear it on Audio, read so awesomely by Fred Sanders, with enthusiasm, accents, characters voices emphasized, this was very well done. A great listen. Inspiring! 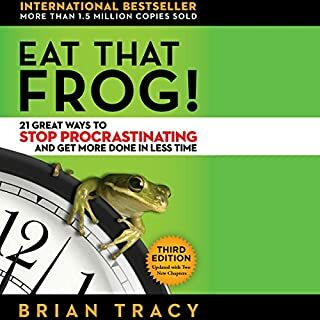 Brian Tracy is a Legend in the Self-Help industry. He has overcome so many obstacles and made a huge difference in this world. If you are a fan, this is another great read. If you've never heard of Brian, this will be a great introduction to what he can do for you. Just by grasping this one concept I have become far more efficient than I was prior. I've listened to this book twice and loved it better the second time even. Highly recommend it! 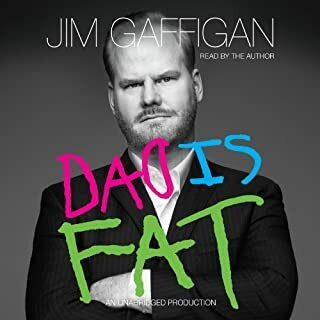 I've loved Jim Gaffigan for years. I bought this book for my Dad for Father's Day last year. Unfortunately I believe he was offended by the title and never read the contents since he thought I was calling him fat by giving him this book. I should have purchased the book for me. I have 4 kids under 8 years and was wiping tears away reading the book's introduction it was that funny to read the roles they play. Jim's delivery and honesty, coupled with his descriptions, voices, and material, is really so wonderful and hilarious. This is one funny book, yet it's different from his stand-up, and the listener will be laughing with reminders as babies cry in the night. 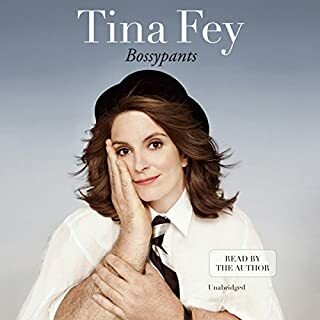 Where does Bossypants rank among all the audiobooks you’ve listened to so far? This was a performance of Grammy winning proportions. Loved it. Shared it with my wife. Wiped tears away from laughing, and some parts cut deep (her scar story). Really loved this as an experience, rather than just another book read by it's author.